Advancements over its predecessor come in all of the areas you would expect, but the biggest splash of the new camera is its ability to capture 4K video and 4K time-lapse, where the SL2 was languishing in the dark ages with (yawn) only 1080p HD recording. The camera houses an APS-C format (1.6x crop factor) CMOS sensor with 24.1MP (shedding 100 pixels off the SL2’s sensor) and the engine inside is the next generation DIGIC 8 Image Processor. Many other specs stay the same—3" tilting and swiveling LCD, ISO 100-25600, 9-point eye-detection autofocus, and Wi-Fi and Bluetooth connectivity. And, like the SL2 before it, the new EOS SL3 is available in black or white, outfitted with a Canon 18-55mm f/4-5.6 IS STM lens. Smaller and lighter than some mirrorless cameras, does the 4K-capable EOS Rebel SL3 make it to your wish list or into your camera bag? Let us know in the Comments section, below. Looking for suggestions— I have an SL2 now that I use for shooting video (mostly in-field interviews and capturing events) and also for travel photos. 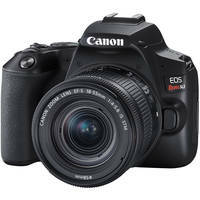 I'm considering an upgrade, but torn between this and the Canon EOS M50. I don't much care about outputting 4k videos (1080p is fine for web vids and what I need), but would start shooting at 4k in either case for the improved quality. Based on the above, which do you think would be best for me? Great review David. I'd had my eye of the SL2 for a while and had no idea there was an SL3 on the way. We're going on vacation the first week of May. Would love to take the SL3 along with me. Will it be out by then? The Star Wars references at the end were especially awesome! 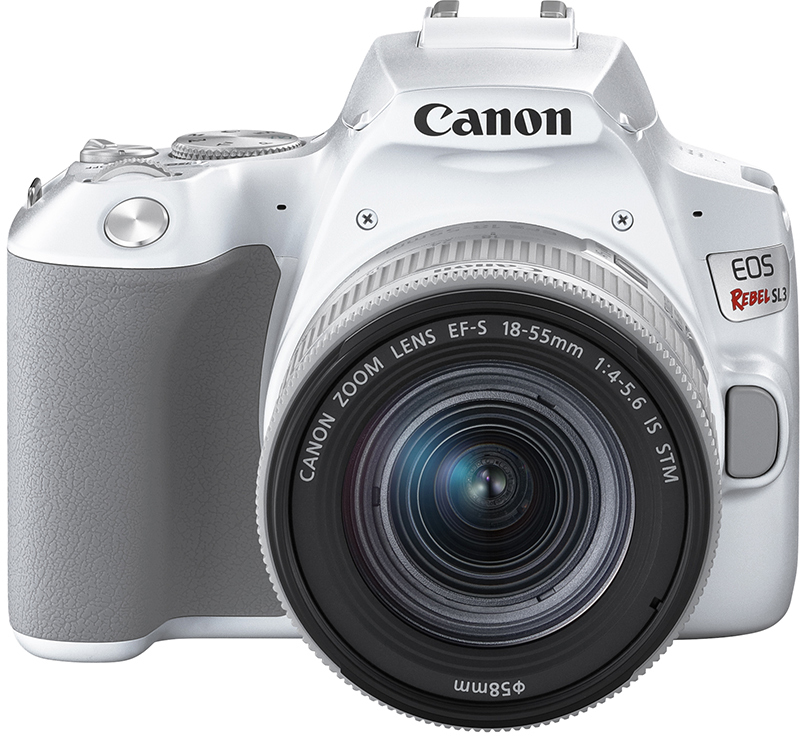 With EP IX coming out in December, Canon should definitely market the white version as the Canon SL3 Hoth Edition or SL3He.